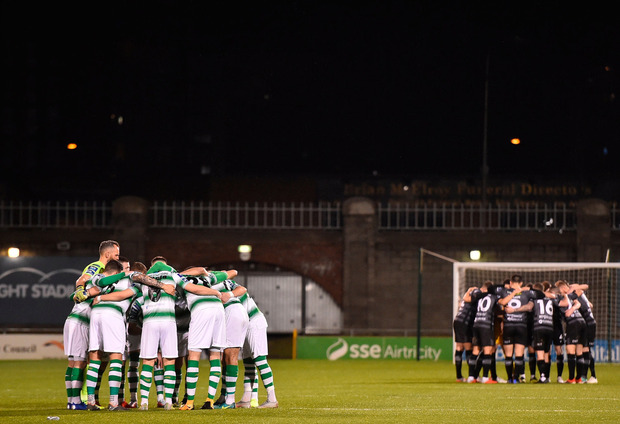 Shamrock Rovers have said they will welcome investment from backers who can help make the club into a force on the European stage. But the club, in discussions with Dermot Desmond over a €3m cash injection, will not hand over control to an outside party and will not permit the Hoops to become a feeder club for a bigger outfit. Rovers have been linked with an arrangement with Desmond, who is the chief shareholder at Celtic. Last year, Celtic were linked with a major investment in Rovers which would see the Bhoys get first option on the young talents at the Rovers academy. The Tallaght club have not commented on reports but sources maintain that while talks have taken place, no deal is imminent. Supporters own 50% of the shares in the club, the rest owned by Australian-based supporter Ray Wilson, and club members would have to approve any deal which would change or dilute their ownership. "Our independence and the control of the club has to remain with the members, that is key in any negotiations that may take place," a club source said. "But the members will not let the club become a feeder team for anyone else."